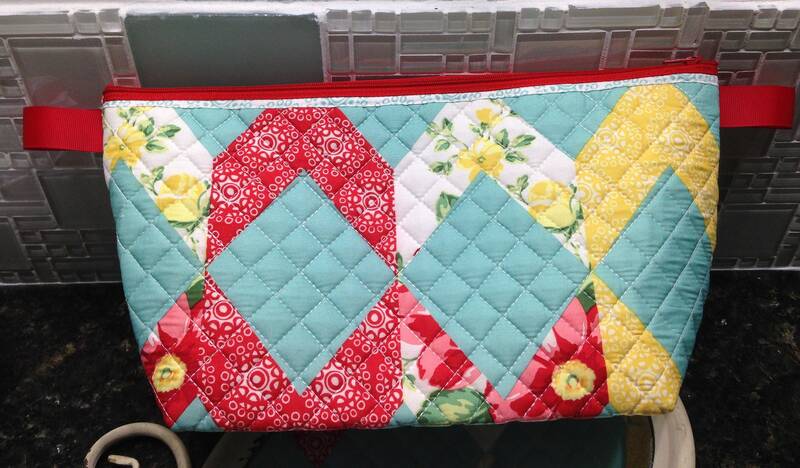 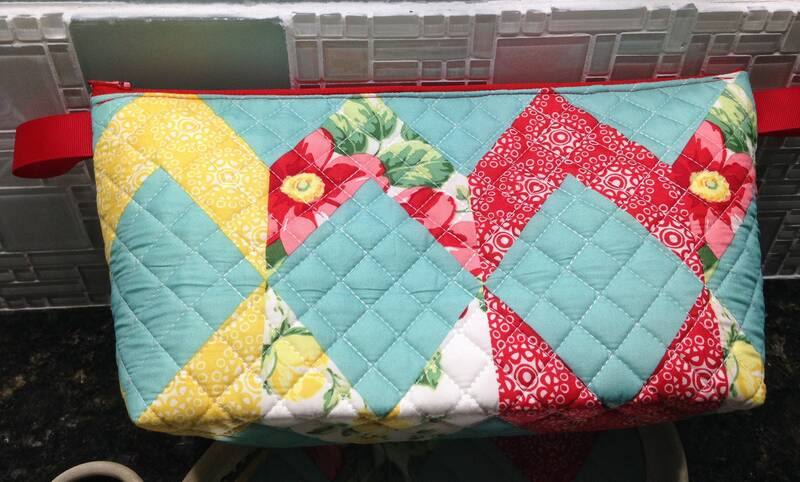 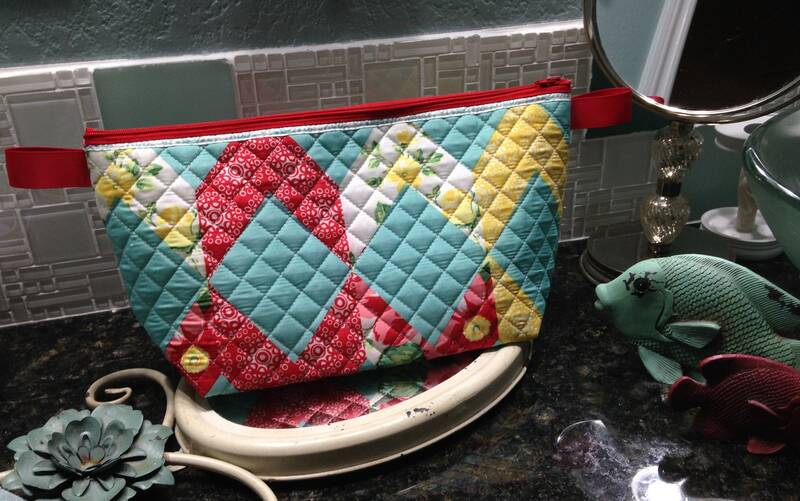 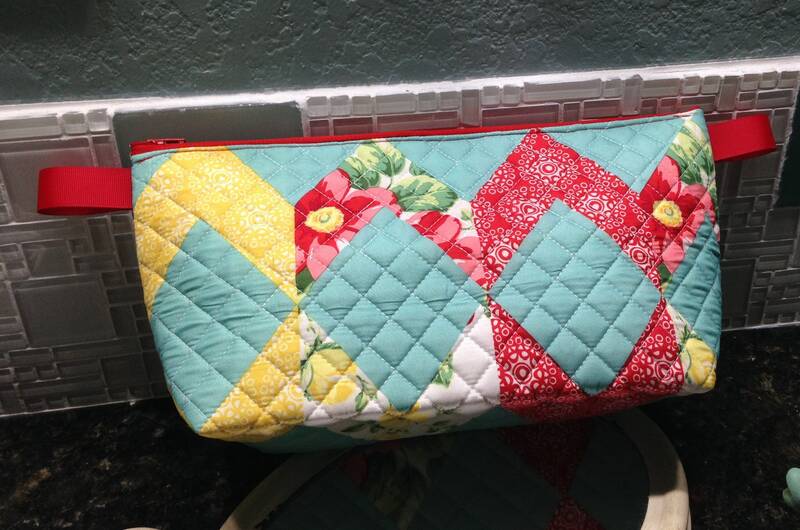 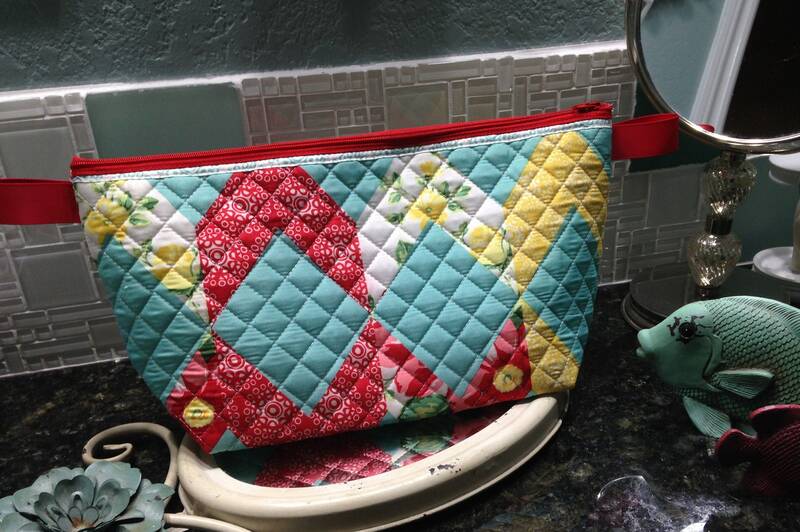 This beautiful aqua, red and yellow women's toiletry bag is made from quilted Pioneer Woman placemat fabric. 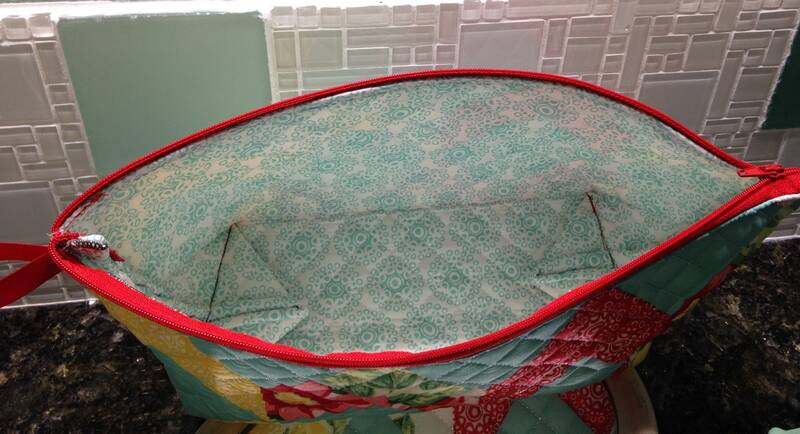 It is lined with a complimentary aqua on white fabric from the same product family. 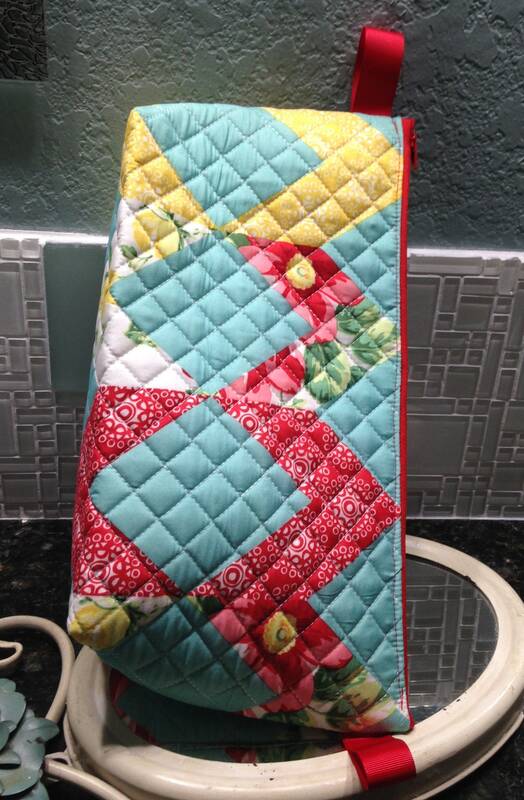 The zipper at the top is a bright red color and there are two red grosgrain ribbon tabs on the top corners making the bag easy to open and close or to hang up the bag. 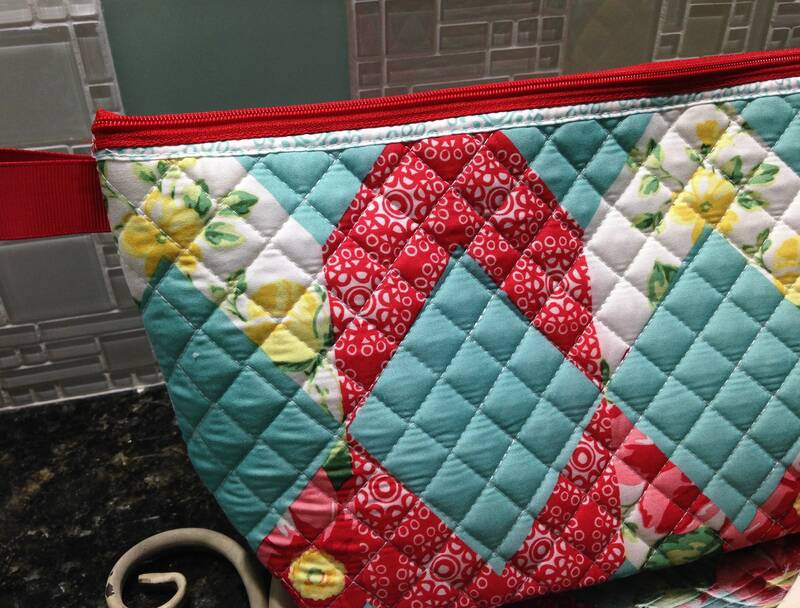 The bag is lightly padded and pre-quilted. 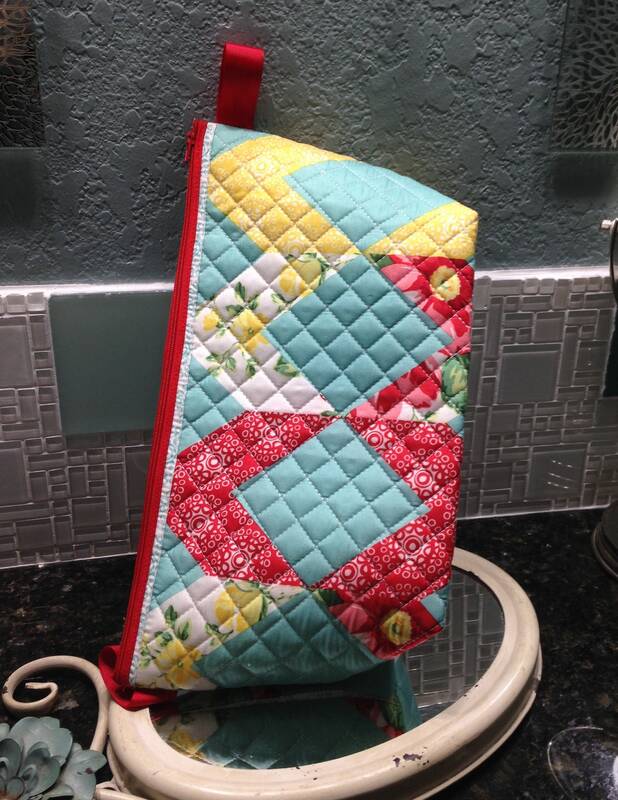 It is a slightly larger size at approximately 7" by 13" with a 4" base. 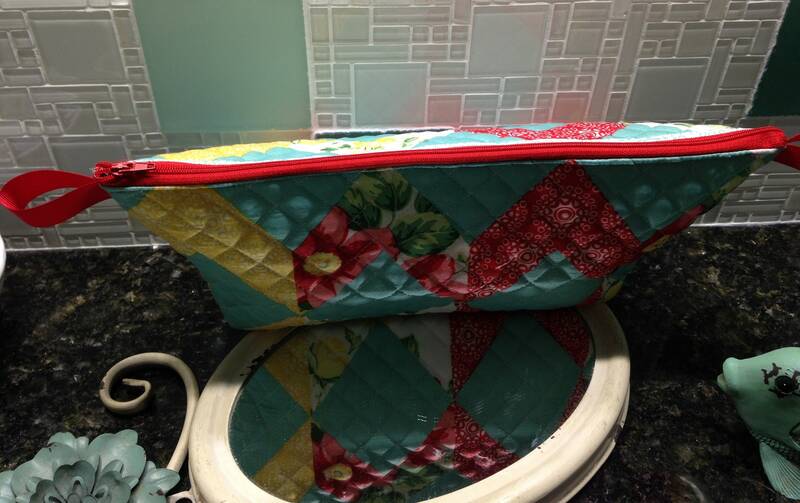 Even though it is larger, it's not too big not too small but just the right size to carry your travel kit.